Roberto Defez is a molecular microbiologist at the Institute of Bioscience and BioResources, Italian National Research Council. Dennis Eriksson is a researcher at the Department of Plant Breeding, Swedish University of Agricultural Sciences. 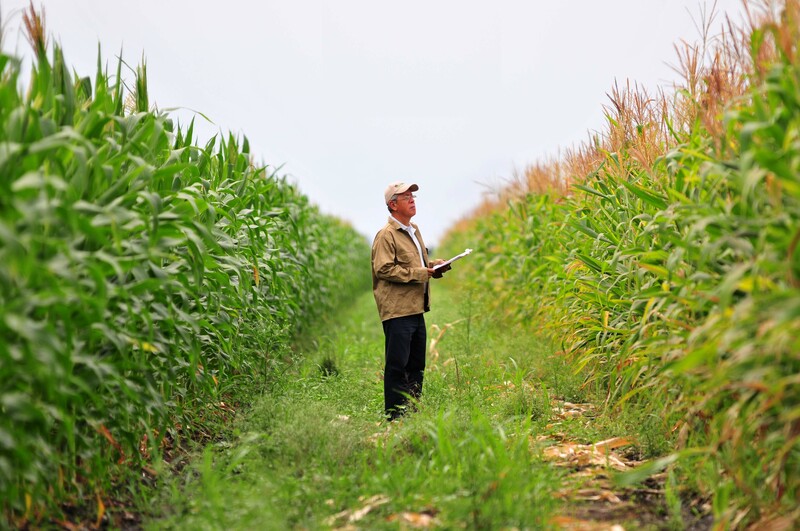 Two farmers located in the middle of nowhere in Northeastern Italy wish to cultivate a genetically modified (GM) maize. One may ask why they wish to grow something that is so controversial to many politicians and citizens? The reason is that the traditional local food is polenta (a maize powder) and not “pasta”. However, many plant pests and diseases affect the maize fields and the two farmers are forced to spray insecticides at least twice per season; otherwise the maize will be infested by a fungal toxin named fumonisin. Fumonisin derives from a fungus, Fusarium, which grows in wounds caused by the Lepidopteran plant parasite called corn borer. To protect the crop you have to either spray insecticides (but the farmers have their field close to their houses) or use a plant that prevents the corn borer from feeding on it; in this case a GM maize cultivar. Only one such GM maize has been approved in the EU and its commercial name is MON810, sold by most seed companies. The toxin is a probable cause of oesophageal cancer and neural tube defect during pregnancy (spina bifida and cleft palate), and the World Health Organisation has presented a report observing a local association among maize contaminated by fumonisin and high frequency of oesophageal cancer. There are three hot spots in the world for fumonisin contamination: South Africa, China and the area where the two Italian farmers are based, the Pordenone province. Back to the question why the two farmers wish to plant MON810. The answer is to reduce the spray of insecticides. To increase the food safety of the maize they produce. And to increase their harvest and produce maize that could be sold at higher prices than traditional maize. These are excellent reasons. But they also have an additional one. In Italy, 87% of all livestock feed contains GMOs, among which is also MON810. So the farmers ask: how come I can buy MON810 to feed pigs and cows but not grow it in my own field? The situation for the entire Europe is the same; 92% of all soybean used as feed is genetically modified. Thus we are accustomed to indirectly eating GMOs, however, we are frantic about the possibility to cultivate them ourselves. We do import plenty of GMOs to Europe. About 70% of all cotton produced worldwide is GM. With GM cotton we produce banknotes (euros) and clothes, as well as gauzes, swabs and hydrophilic cotton that we put in contact with our bloodstream. GM cotton does not produce any allergy or have a toxic effect, and it is a fact that not a single person worldwide has been hospitalized due to the use of any plant material derived from GMO after 21 years of use on seven billion people. On September 13, the Court of Justice of the European Union (CJEU) delivered a judgment on the demand of one of the two Italian farmers, Mr Giorgio Fidenato. He had complained that Italy had denied him the right to grow the MON810 maize, on the basis of an Italian law dated 2013. The CJEU judgment was that the Italian law had no legal basis and thus was not valid. But CJEU went further, saying that the Precautionary Principle does not apply post-authorisation to GMOs. We should be suspicious of something unknown, but we now have so many analyses, restrictions, evaluations and experience on the use of GMOs as food and feed (or for medical care) that we can handle the GMOs using the actual EU laws. This sentence is a milestone. GMOs have always been a psychodrama in Europe. After years of controversy among the EU member states, the EU in 2015 lifted the white flag and with the Directive 2015/412 handed over to the individual countries the decision whether or not to allow cultivation of MON810 or any future GMOs approved for cultivation in the EU. Now there is a contradiction in the GMO legislation. Whereas scientific evidence was necessary before to implement a national temporary prohibition, under the safeguard clause, against a GM event authorised for cultivation, it is now enough to claim grounds related to “town and country planning”, “land use”, public policy” or any other vague argument to deny farmers the right to cultivate what they want and what they need. This was the first time the EU gave back to the member states the power of decision on common matters. The Common Agriculture Policy is a common matter; any national law dealing with agriculture has to be notified to EU headquarters before entering into force. Brussels decides the policies and each member state applies it nationally. The CJEU judgment has now presented a great opportunity to start recovering a rational, science-based approach. The technology to produce GMOs is already old and mainstream. Emerging genome editing technology adds to the diversity of the breeder´s toolbox and provides easy, rapid, precise and powerful means to reduce pesticide inputs as well as help plants to face climate changes. With a strong research community, Europe has the opportunity to guide the change instead of only importing and paying for the final products. Companies have learned a lot from the GMO lesson. Scientists are ready. Farmers like Giorgio Fidenato too. Let’s break the prejudice. What information was given to the court and was used to make their judgement? If the pest is so strong that it needs to be sprayed twice during the season, how does a GM plant defeat them? Does the extra gene cause the plant to make its own pesticide? If so there will be pesticides in the food that is made from each crop? Are babies and small children more vulnerable than adults? What long term studies have been carried out to prove that it is safe? As stated most animals are given GMO food and we can see what effect that is having on the animals health and it’s not good. Should we expect to see the same effects in humans?